Evidence is mounting that Red Dead Redemption 2 is in fact a prequel to the first game, and by evidence, I mean IMDB listings, casting calls, and Facebook friend lists. Welcome to the wild world of Rockstar fan sleuthing. Last October, Rockstar announced Red Dead Redemption 2 with a couple of teaser images and a brief trailer. Since then, the iconic developer has been oddly quiet about their upcoming Western game (which they say will be out this fall), which is driving fans to do digging of their own. 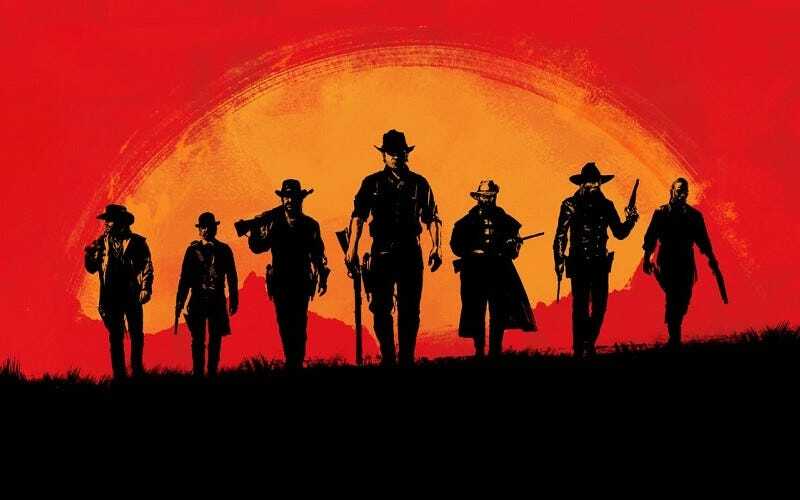 One rumor, based on Red Dead Redemption’s ending and some other assorted clues, is that RDR2 is in fact a prequel, telling the story of John Marston and his gang before they split up and went off to go farm sheep, hide out in the mountains, and so on. And over on the GTA forums (h/t @RedDeadNet) fans are gathering all sorts of ridiculous clues that support the prequel theory. For example, on March 7, one fan discovered an actor’s resumé saying he did mo-cap for Dutch in Red Dead Redemption 2. Dutch, of course, dies in the first game, so him popping back up again is a big clue that RDR2 is set in the distant past. After that, things got really weird. On March 8, another fan discovered that a bunch of RDR1 voice actors were, uh, all following each other on Twitter. On March 10, someone discovered that the voice actor Roger Clark, who sounds a whole lot like the narrator in the Red Dead Redemption 2 teaser trailer, “liked” a RDR2 speculation video on YouTube. These are all voice actors, many of whom were in RDR1. (Rob Wiethoff played John Marston; Benjamin Byron Davis played Dutch; Steve J Palmer played Bill Williamson, etc.) In other words, this all points to Red Dead 2 being a prequel that stars John Marston and his old gang, who have apparently moved from the Wild West to Facebook and Twitter.